The company blames "changed circumstances." TransCanada CEO Russ Girling at the company's annual general meeting in Calgary, Alta., May 1, 2015. TransCanada has announced it's cancelling the Energy East pipeline project. CALGARY — TransCanada has cancelled plans for the Energy East pipeline and Eastern Mainline projects that were to take Alberta oilsands production to Quebec and New Brunswick. The Calgary-based company had announced last month that it was suspending its efforts to get regulatory approvals for the mega projects. It will now inform the federal and provincial regulators that it will no longer be proceeding with its applications for the projects. "After careful review of changed circumstances, we will be informing the National Energy Board that we will no longer be proceeding with our Energy East and Eastern Mainline applications,'' TransCanada CEO Russ Girling said in a statement Thursday. Its supporters said Energy East was necessary to expand Alberta's markets and decrease its dependency on shipments to the United States. Detractors raised questions about the potential environmental impact. New Brunswick Premier Brian Gallant expressed disappointment in the cancellation and said he believes the decision is due to recent changes to world market conditions and the negative impact of lower oil prices. "We believed if TransCanada continued with the process, the project would be approved. We still believe that,'' Gallant said. 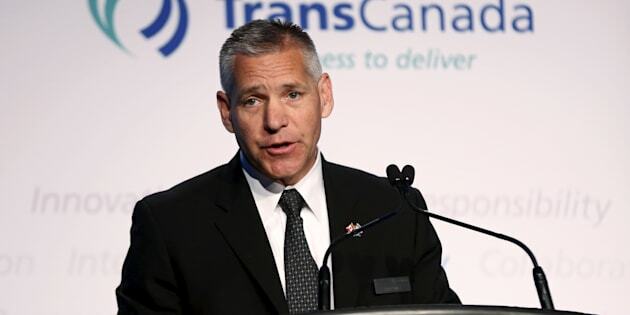 TransCanada said it will record a non-cash charge of about $1 billion in its fourth-quarter financial results, reflecting the reduced carrying value of the projects. It said there would be no costs recovered from third parties. But Girling assured investors that he expects TransCanada's the annual dividend will grow at the upper end of a long-term target range. "We will continue to focus on our $24 billion near-term capital program which is expected to generate growth in earnings and cash flow to support an expected annual dividend growth rate at the upper end of an eight to 10 per cent range through 2020,'' Girling said. "The abandonment of the Energy East project is a major victory for the municipal world,'' Coderre wrote.